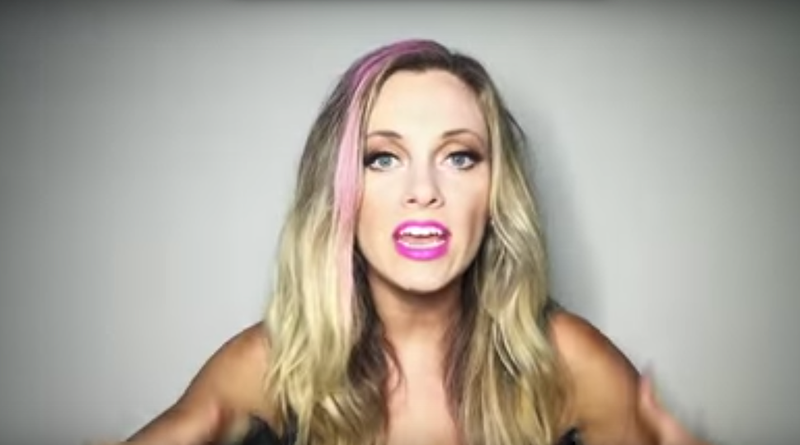 After posting the controversial video titled, “Dear Fat People,” Nicole Arbour not only received backlash from other comedians and YouTube personalities, as well as celebrities such as Chrissy Teigen, but it also cost the comedian a job. Arbour, who had previously worked with the Toronto Argonauts Cheerleaders, was hired to choreograph scenes for an anti-bullying, dance film called Don’t Talk to Irene. She has since been fired from the gig. In a statement to Zap2it, Don’t Talk to Irene director Pat Mills talked about his decision to work with Arbour. “We met with a woman who not only did traditional dance choreography, but was a cheerleader as well,” explained Mills. “She was fun and nice and had a lot of energy.” Mills was planning to meet with Arbour to brainstorm scenes, until he watched the fat-phobic video. “I saw something on the Internet that made me never want to see her again,” he said. She also appears to be denying any involvement in Mills’s film, according to this recent tweet. Following the incident, Arbour’s YouTube channel was temporarily removed, with some accusing the comedian of deleting the channel herself to gain publicity. YouTube said the channel was mistakenly suspended and reinstated it soon after.